Toledo, about an hour’s drive from Madrid in central Spain, was one of the excursiones requisitas, or obligatory stops, for my great-aunt and artist Benita (McGinnis) McCormick. 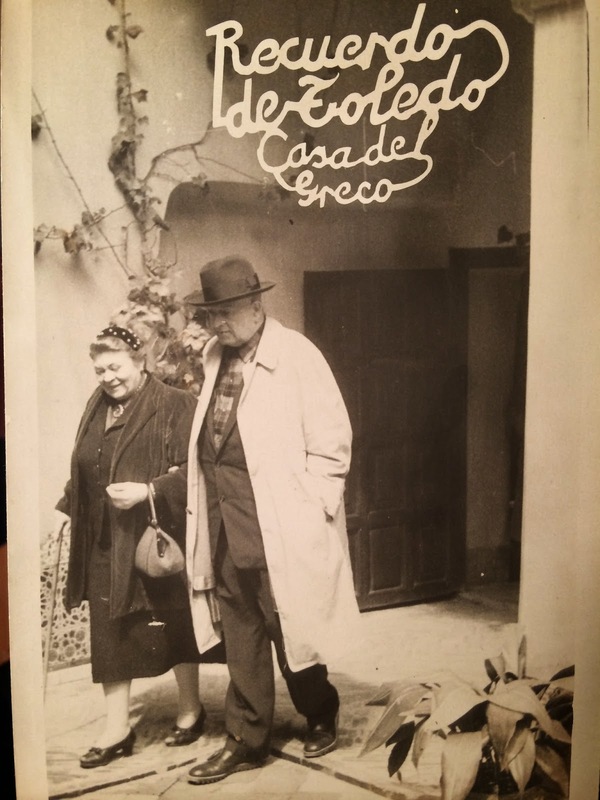 She and my great-uncle Phil made a pilgrimage to the Museo del Greco during their year-long Spanish sojourn in 1960, to view the master’s dramatic artwork and see a replica of his Renaissance-era home. Benita and Phillip McCormick leaving El Greco Museum. The caption on this picture postcard is disconcerting. While the museum is situated on land where El Greco’s home may have stood, the home within is in fact a very good replica. It probably did not matter to Aunt Detty and Uncle Phil, who like many visitors to the museum, were presumably more awed by the excellent exhibit of many original paintings and sculptures of El Greco and other 17th century artists.